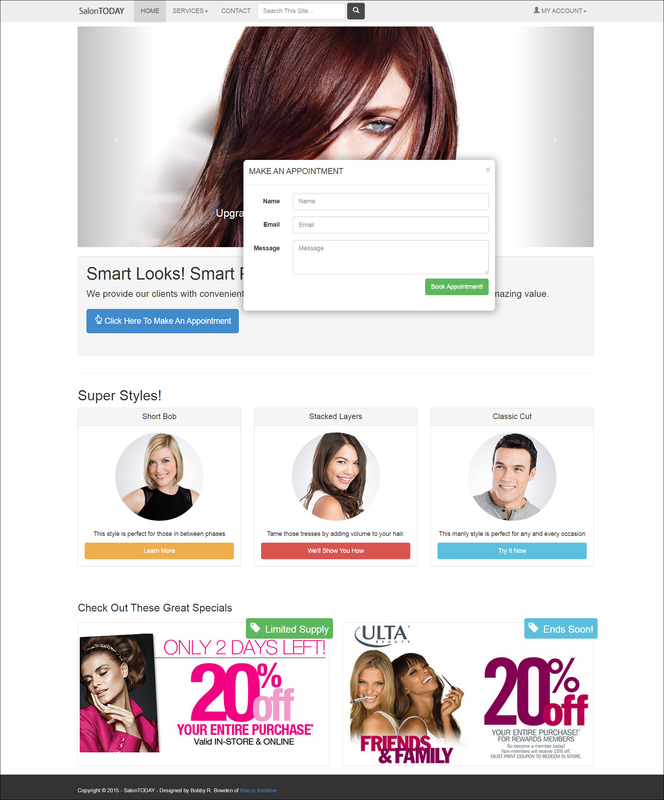 This SalonTODAY site is developed completely with BootStrap 3, HTML5 and CSS3. The dropdown menus, search bar, hero slider, modal window, buttons, and tag overlays are all completely developed with BootStrap 3 code. This development style allows the site to remain lite and respond quickly. This site resizes in large, medium, and small variants, and utilizes media queries within the stylesheet to specify image and font sizes depending upon what dimension the screen is resized to. The site also includes a modal popup window when the “click here” button is pressed. 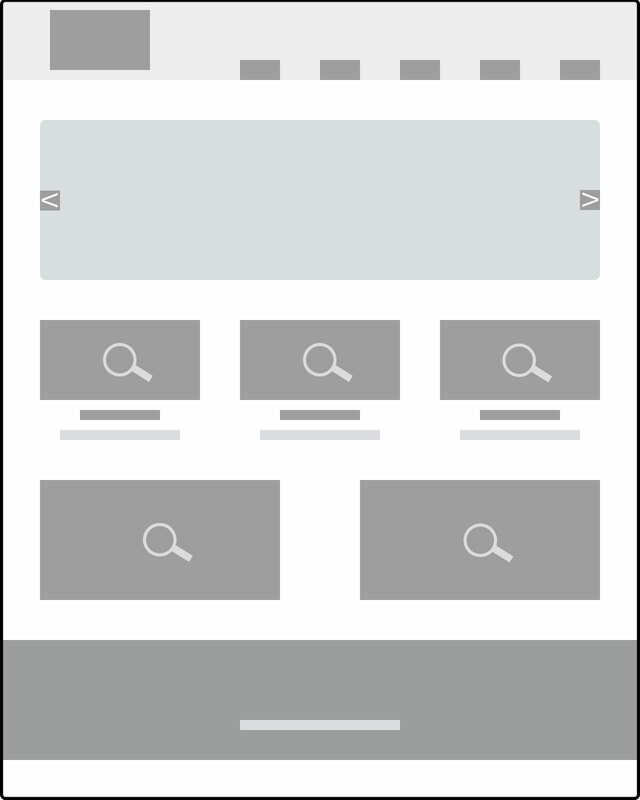 The mobile version of the site produces a menu button with dropdown tabs for the navigation. 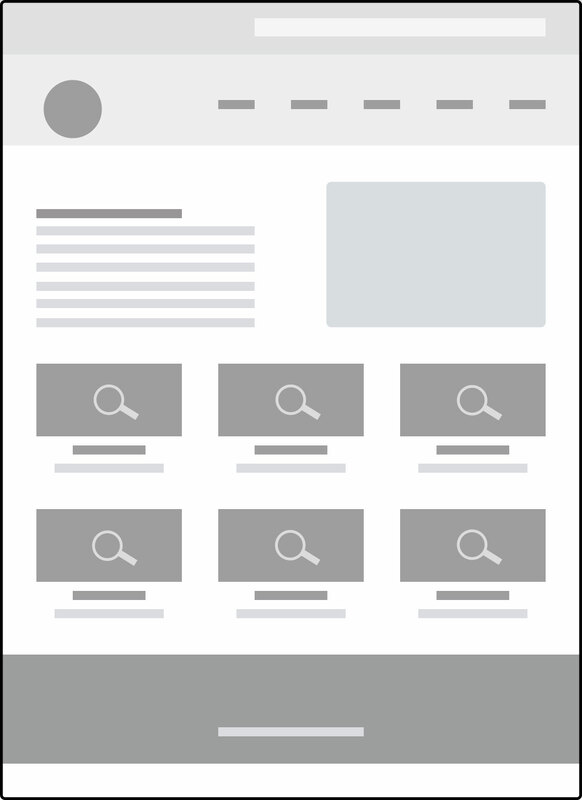 All of the div’s resize as the dimensions of the screen are reduced from large to medium, and then stack when the dimensions of the screen are reduced from medium to small. There’s also a button that pops up only when the site is in the mobile version. In the mobile size the modal popup still works.